The team at Clear View has recently manufactured an unusually large bi-folding door at our based in Meltham Mills. The door has a total length of 7400mm (24ft) and features eight panels. This is one of the largest (in length) doors we have ever manufactured at Clear View. To put this length into scale, the average sliding door opening is around 2000mm and bi-folding door around 5000m so this is a very large door. The door will be used in conjunction with a range of other aluminium doors and windows for a large project we are completing within the summer. Why choose the bi-folding door? This homeowner chose a bi-folding door for many reasons, with the size of the opening also aiding to their decision. With such a large opening within the house, the bi-folding door will allow the family to use its concertina movement method to fold the door back the whole way and have a very large unrestricted space for movement in and out of the property. As well as the free movement, the eight panels will also feature large amounts of glass which will help flood the roof with natural light – proven to have many health benefits. This natural light will also help, with the addition of high efficiency glazing which will be installed into the glass, to keep the room at a comfortable condition all year round, helping to sue the sun’s rays to warm the area in the winter and keep it cool in the summer. To give an example of how unusual this bi-folding door is in length, you can find specifications for more usual 3 pane through to six pane arrangements by clicking here. 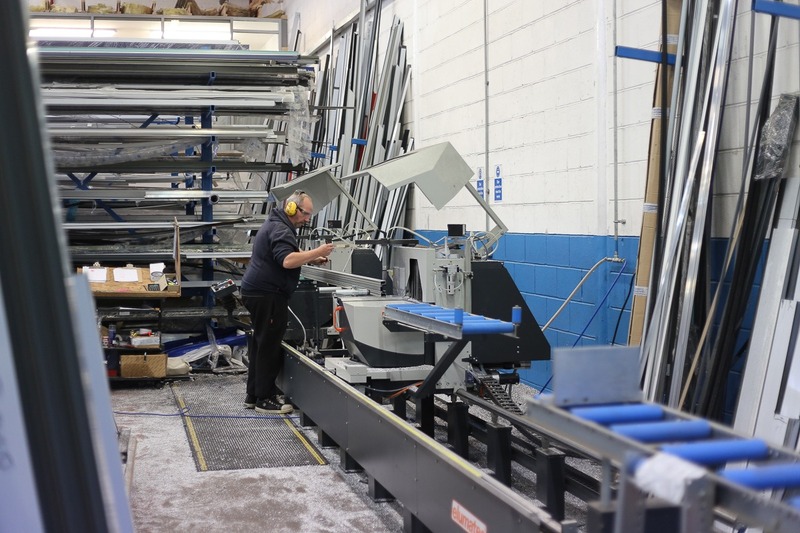 Clear View provide a wide range of bi-folding doors for commercial, domestic and trade sectors and manufacture them all from our base in Meltham Mills. Whether you are replacing a like for like or are having them installed for the first time, our experienced team can talk you through the many benefits. We manufacture using the very best aluminium and glazing, and always feature industry recommended associated hardware for safety. All doors come with anti-bump, anti-snap and kitemarked hardware as standard. For more information about our range of aluminium doors and windows, including sliding and patio doors, please do not hesitate to pop into our showroom or call our team today.